Shop Direct launched a location-based, dynamic digital out of home campaign for Very for Black Friday. The campaign, for the first time, featured real-time dynamic sales messaging to provide shoppers with vital information about stock availability and demand for its offers. Devised by Posterscope, in partnership with Taggstar, the leader in real-time social proof messaging, the campaign gave Very a shop window on the high street and in shopping centres across the country in the run up to and on the busiest shopping day of the year. Kicking off on November 13th, the creative will initially advertised location specific daily offers, and culminated on Black Friday by unveiling and promoting hourly deals throughout the day. From November 19th the ads also featured real-time dynamic sales messaging such as popularity, scarcity and urgency, provided by Taggstar, to capture shopper’s attention and drive them online to purchase. 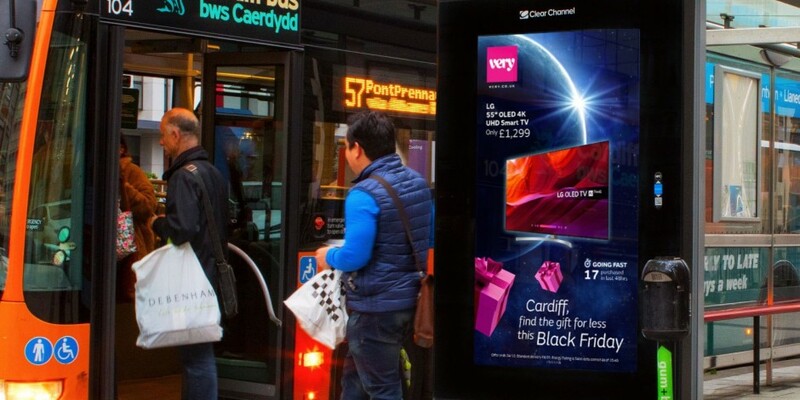 The dynamic digital OOH ran nationally on 1,470 digital six sheets in key Mall and Roadside locations and was part of Shop Direct’s wider Black Friday and Christmas campaigns for Very, planned by Vizeum, and also appearing on TV, VoD, Digital Display, Social, Mobile, Print and YouTube. Following the Black Friday activity, the OOH campaign continues to run dynamic copy throughout November and December with a range of creatives for Party Wear and Promotions. Creative is by St Luke’s.